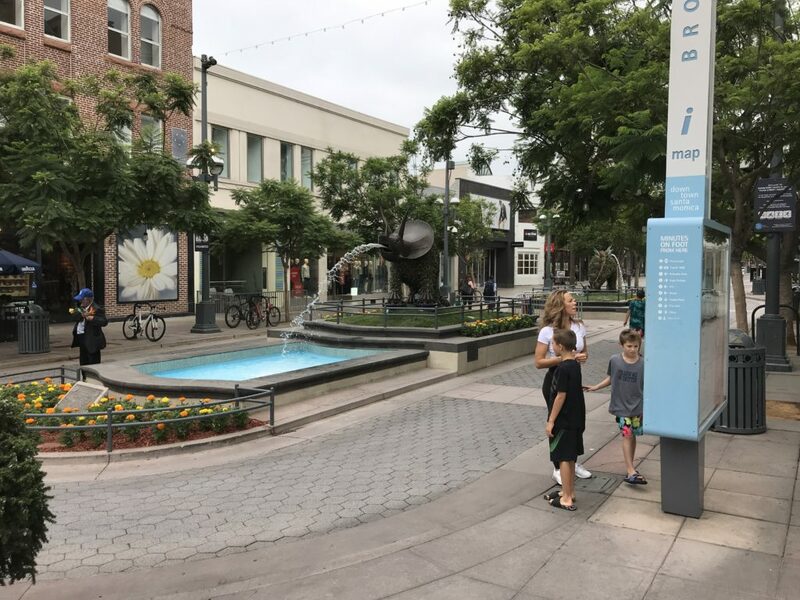 The renovation of the dinosaur fountains on the Third Street Promenade in Santa Monica is now complete! 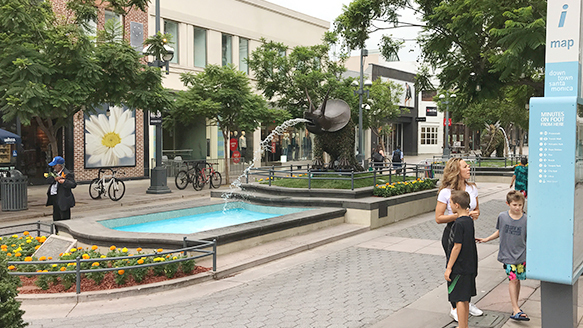 The refreshed twenty-five year old fountains blend in with Suisman’s update of the street’s overall look and furnishings. 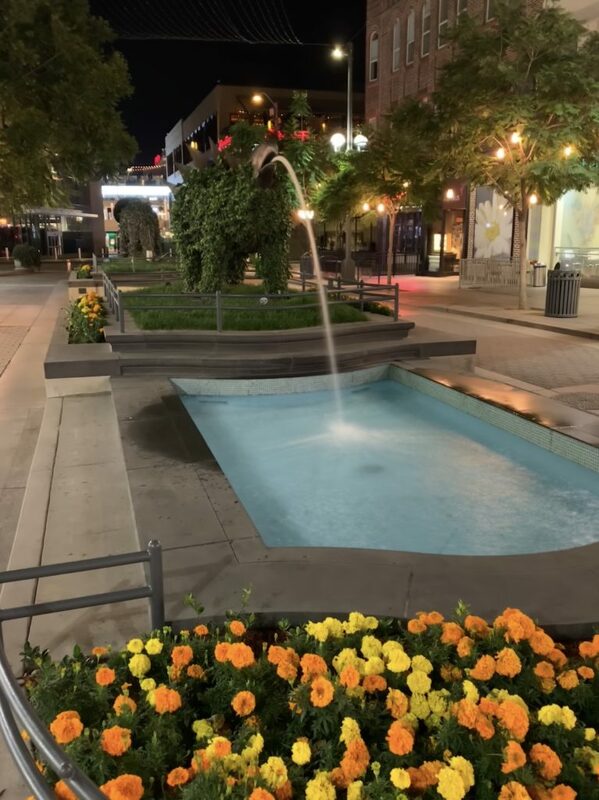 With repaired concrete basins, new blue tile, and new lighting, these dino fountains have never looked better!